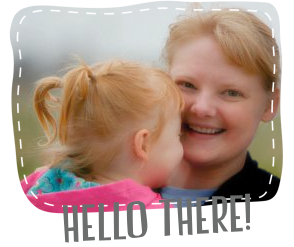 Good Golly Ginger: Hello! I Have A Fat Quarter Bundle & Aurifil Thread!! Hello! I Have A Fat Quarter Bundle & Aurifil Thread!! I added some matchstick quilting in various shades of berry, and I added contrasting gold trim (Kona Cotton in Ochre). What will you make with your fat quarter bundle? Leave a comment below for one entry into the giveaway. Follow me on bloglovin' (or any reader) or signup for emails for another entry into the giveaway. Let me know you did so with an additional comment. This giveaway is open to EVERYONE, and it will remain open until Friday, December 12, at 5PM (PST)! I will draw a winner at random and announce them at the bottom of this post. If you're a "no reply" or anonymous commenter, please remember to include your email address in your comment. I have another fat quarter bundle giveaway (sponsored by Pile O' Fabric) going on through Monday, December 8, here! Thank you so much for visiting! I hope you will come back soon for more modern quilty inspirations. Check out my patterns here. I have two free foundation paper piecing patterns available in my pattern shop. I would probably make a nice set of quilted placemats with a Valentine's day / heart theme. I think they would make a lovely set of placemats for Valentines day! What a gorgeous pillow! I would use these fat quarters in a quilt I'm just starting to design. Your pillow is great. I think a mini quilt for a kid's tea party picnic blanket would be fun. I'm imagining a quilt made up of ice-cream blocks - berry flavoured ice-cream! Thanks for the fabulous giveaway! I would use it for English paper piecing! The colors are gorgeous. My sister was just asking for me to make her some holiday pillow covers. This fat quarter bundle would be perfect for Valentine's day. Thanks! Love your pillow! I would make a Valentine's Day pillow with a large heart on the front. I would make a mini quilt. Thanks! I would use it in a bag. I'd love to make a mini quilt/wall ganging with these gorgeous colors. Thanks! I follow your blog. Thanks for the chance. Sencomd entry...I would love these to create a lep quilt for my mother-in-law, could I get it ready for Christmas??! The pillow is lovely. I may have to try one myself! Love the frozen block, too! I l-o-v-e your pillow! It's beautiful! The colors are luscious. If I win the "berry" bundle, I think I'd use the FQs in a lovely table runner. I think i'd use it for pillow covers for my daughters bed. A little trim of it would really make it pop, and then also a cushion! I'm not sure but whatever it would be - it would be gorgeous! :) Love your pillow! I love your pillow. I would probably make one like that or a table runner. Thanks! Love the fabrics - they'd make some pretty placemats for my kitchen table. Thanks. I've been following you! And that pillow is absolutely stunning!! If I won the bundle, I would do one very similar to your- I love how the quilting adds a very special touch!! I think I'd have to make a table runner. Love your pillow! Love those colors. I think I may need to copy your beautiful pillow. That quilting is beautiful! Love the fabric. I could use a new pillow and your's looks great. I would make throw pillows for my bed! Those are probably my favorite colors! I would have lots of fun trying to figure out what kind of quilt to add them into. The pillow is so pretty and surprisingly festive! I think the gold binding is the pop! Great job - I love your posts. super cushion, love the quilting on it. Your pillow is awesome! I think I might use your piecing technique and then make a zipper pouch. Good morning from Minnesota! Love your pillow and all that quilting! I would make a mug rug! I would make small wall quilts with those solids. Thanks for the chance. Oh that's difficult, I don't know what I would make but that pillow is beautiful! Thanks for the giveaway! It would find its way into a baby girl quilt - and I'd definitely go with pink quilting. Love it on your pillow. These beautiful FQ's would become part of my building blocks quilt. I love berry colors, so rich and yummy. I'm planning a donation quilt and these colors would go great with the pieces I've already slated for the project! I'm following your blog with feedly! I have a quilt in mind for these lovely colors if I should win. Just signed up to follow by email. Those colors are so vibrant and they work so well in your pillow - I'd work them into a quilt. Those colours are delicious! I like the the cushion you made, its also delicious! I think I would make some purses with the fabric. 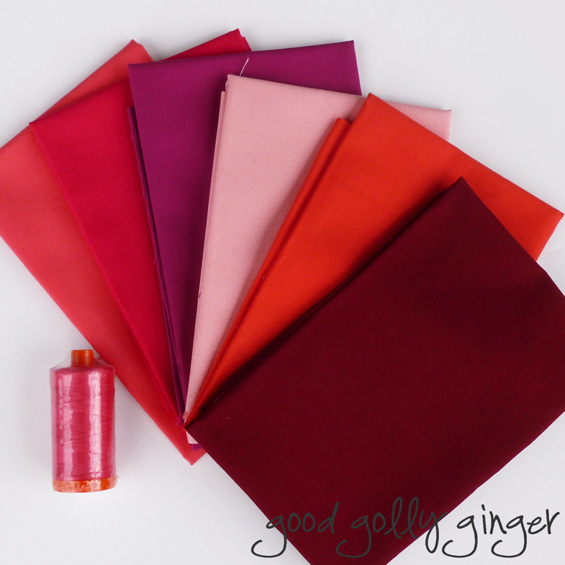 Lovely colors-would make nice Valentine's Day placemats! That's what I would make with maybe a table runner to match. Oh my goodness, I love those colors! They would be perfect for finishing my daughters quilt that I've been stalled on forever! Beautiful, I love your pillow! Some of those solids would go perfectly with a palette my daughter and I are putting together for her new home so I'm sure they would get used in throw pillows pretty quickly. 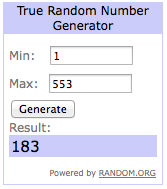 Thank you for your generous giveaway! Very nice use of the fabric. Wonderful pillow. I think some Valentines placemats would be cute. Thanks for the giveaway. Beautiful pillow. I love the combination of reds and pinks. I would use it in a quilt. i would love to make placemats and a table runner. I think I would love some pillows made out of this. What a great bundle! I think these would make a great Valentine's Day wallhanging or pillow. Love your pillow! Thanks for the giveaway! I think I'd sew a skirt. Thanks! I think I would try to find some coordinating patterns and make a lap quilt for myself! The colors are beautiful! Oh I think I might make a cushion just like yours. I'm sure I'd mix and match them with other fabrics for something! I love the Kona reds. I just might make a pillow too. Your pillow is lovely, but I would probably use this delicious fabric to make a modern table runner. I would make a pillow too! I'm finding small projects are the way to go right now with a new baby in the house. I love your matchstick quilting. I follow you on Bloglovin. Thank you for the giveaway! I would also make a pillow! These colors would go so well with my living room! These colors are so pretty, and very different from what I have in my stash. I'd love to pair these with some grays and blacks, and make a very masculine throw. They'll probably end up in one of my long list of quilts to make! I love the pillow so would use your technique to make table mats. They would be gorgeous in my dining room. My daughter just loves these colors, so I would make something for her. I always add fabric to my stash and pick from it as the project dictates. I love red and use it frequently so I'm low right now! I would totally add these fabrics to my collection that I'm trying to collect for starting a Aviatrix Medallion quilt! So pretty!! These would look great as napkins/ table linens! I really like your pillow cover, so I might make something similar. Gorgeous colours and I love your cushion. 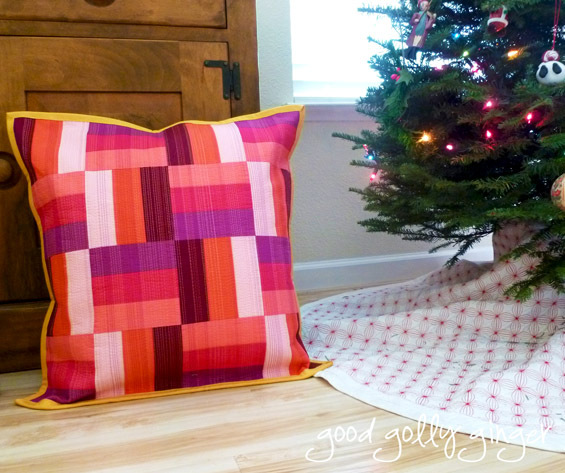 I'm not sure what I'd make with it, but seeing your Christmas tree skirt, it reminds me that mine needs one too! I'd like to make a cushion like yours! I love your pink pillow. My mom just loves pink so much. She use to have a pink kitchen with pink appliances. She has since remolded with black appliances. So, I would love to make that pink pillow for her. Thank you for being a part of Sew Mama Sew giveaway and I just love your berrylicious colors. Beautiful colors. I would use these in a quilt or a bag. Throw pillows for the daybed in our office! I'm trying to incorporate colorful solids into my quilts with prints, so I'd use these for that! They would end up in a baby quilt, the colors are wonderful! Thanks. That pillow is THE BUSINESS, I love it! I'm thinking a punchy mini quilt. I am on a kick with both solids and mini quilts currently, so, yeah. Thanks for this awesome chance to win! I also follow your blog via email, lucky me! Lovely pillow! Thanks for the chance to win! I would love to make some wallets from this fabric. I love reds! I think these guys could be a great modern wall hanging! What a pretty bundle! I love mixing solids with prints in my quilts and bags. I'm sure I would find a project for these to go in :) Thanks for the great giveaway. Merry Christmas! Thank you for your giveaway. Your pillow is beautiful. I would use these with some prints for a quilt for my daughter. Oooh, that pillow! Love it! Thanks for the giveaway - you have added to the amazingness that is today! I'd put this into a quilt for a baby girl! :) Love your pillow!!!! Your pillow is lovely. I would probably use them in a quilt. Ooh! I love the cushion - that matchstick quilting is perfect. I would probably use them for an outfit for my darling daughter, possibly a table runner otherwise. Thanks for the chance. Love Kona Solids! I have been wanting to start a new quilt project! Your pillow is wonderful and those fabrics are so pretty. If they came home with me they would end up in a quilt. Just started following along on feedly. 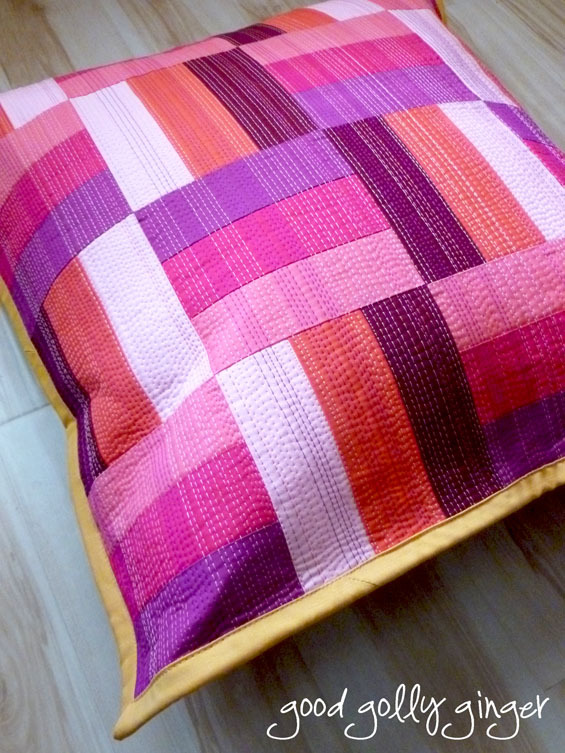 I love those colours and your pillow is awesome with all the stitching... I would make one similar!! Thanks! I have just started following you via Bloglovin' - thanks for your generosity!! I think I would try a few pineapple blocks. Thanks for the chance! Well now you've shown that cushion, I think it would be the perfect thing to make with those fabrics.Thanks for the chance to win. I would make a wall-hanging for Valentine's Day! (It's right around the corner!) I love the matchstick quilting you've done, so I'll probably use that for inspiration! I LOVE your pillow! If I win, I will do something similiar -- I have pillow forms just dying to be used, and I already have Kaffe Fassett pillows in the same colors on the couches! I'd probably use them in some paper piecing pattern for a pillow. Thanks! What a great giveaway- Thanks so much! Love your pillow, I'd like to try mixing the pinks with some ochre too.....maybe pillows for our cottage. I'd use it in my current Tula Pink project and a pillow. Thanks for the chance! I would use these pretty fabrics as part of a quilt. I just might copy your pillow if I win, It's so beautiful! I would use those lovely pink in an applique quilt I am doing in all solids. I am in a 1930's faze right now and I hope to make as many of the Nancy Page Quilt Club patterns as possible. Thanks! I am following your blog by email. Thank you. Pretty colors! I think I would make a mini quilt to hang on the wall above my computer desk!